Preston grew up on his fathers farm cultivating crops and a passion for agriculture. 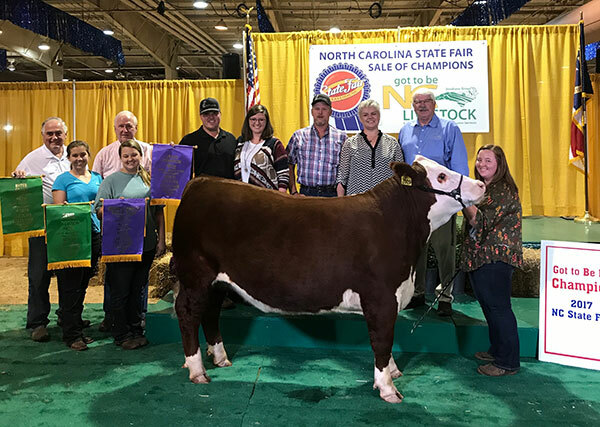 When Preston went to college at NC State University in Raleigh, NC, he furthered his education in Livestock and Poultry Management and coincidentally met the love of his life. Coming back home with a wife and an education, Preston got to work growing and improving his herd every day. PAC Cattle Co was formally founded in 2011, and after years of working and praying, PAC Family Meats branched out and got it’s start in 2017. Preston still works with his father, Phillip, to grow, grind and mix their own cattle feed from the corn, barley, and oats they grow. Preston and Emily live on their farm in Dobson, NC with horses, dogs, goats, and a rescue pony. The family enjoys traveling around the country showing cattle. Our mission is to be a sustainable, local source for high quality beef raised according to our high standards for animal husbandry and meat handling. At PAC Family Meats, we hold our values of respect and honesty in high regard when it comes to our animals, our land, and our community. With this respect, yields high quality product.